Do you that for a year Chivaz had free shipping? Probably not, because most of the people in the real world haven’t ever bought a pair of Chivaz. It’s ok, I don’t take it personally. A few months ago, I decided that Chivaz would start to charge for shipping. The shipping we charge simply covers the cost of postage. If you want faster shipping, you pay a little bit more. Roses are red violets are blue. I like #4, how about you? 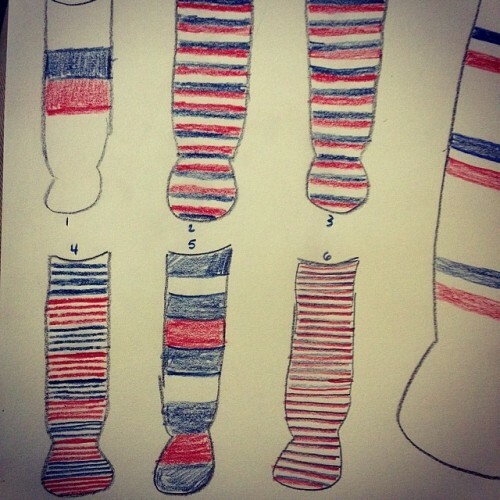 #socks #sock designs.